Found these lovely vintage images of three women wearing bathing suits and fabulous eyewear! Lady Gaga‘s performance and keynote speech at South By Southwest Festival will be historic for several reasons. Not only is Lady Gaga’s performance her first at SXSW, at 27 she’s also the youngest keynote speaker the fest has ever had — and the first woman in 15 years’s. Mother Monster held the keynote on Friday March 14th. Bex Spex is a San Franscisco based eyewear brand. Founder Rebekah Kouy-Ghadosh is a licensed optician and has great experience with helping people finding the right frames. Through that process she was able to see people’s need for eyewear that fits a smaller face focusing on that for the inaugural line. 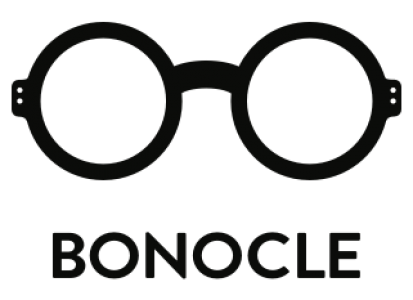 All of the eyewear is handmade in a factory in Northern Italy. Each pair is made using only the finest Italian acetate, customized using the Pantone color system just for Bex Spex. This charming friend is wearing the Chick-a-Dee frames! You can really see the different layers of acetate in this picture, love the details! A beautiful cat eye frame, anyone will feel way more glamorous in these! For the firts time Danish Han Kjøbenhavn exhibited at Silmo Paris! Their booth was filled with beauiful danish designed furniture such as Hans Wegner’s Wishbone chair or y chair. Nice frames for a very nice price! Here in Stockholm winter has definitely arrived, it’s super cold, but it will get even colder. This means fogged up glasses. So when I styled the photo shoot for the latest issue of the Optik Magazine I thought it would be fun to style the model with fogged glasses! The frames are from Swedish Vasuma and called Congo. French eyewear designer Thierry Lasry at Silmo Paris. Eyewear can be against hate on the internet, according to Vasuma. Together with the awarded product and interior designer and Beckmans College of Design Graduate Daniel Svahn they created three unique table lamps that will be auctioned off to benefit Diskrimineringsbyrån’s project Närvaro, an organisation that works against discrimination. The hope is to be able to bring the organisation about €3000. Over the years Vasuma has saved a lot of their samples, spare parts and lenses. Instead of throwing it away they’ve put it into good use. The table lamps are auctioned on eBay until October 7th. Participate in the auction by visiting their site here. The table lamps Båge (Frame), Lins (Lens) and Skalm (Temple) will appear. Swedish eyewear brand Vasuma made ​​alien glasses for Berättarministeriet’s Alien Supermarket. Berättarministeriet (“Ministry of Storytelling”) is a nonprofit organization dedicated to inspire children, aged 8-18, from areas of high unemployment to conquer the written word. Their work is based on the understanding that strong writing skills are fundamental for participation in a democratic and pluralistic society. Their work is inspired by 826 National. “Children can play with and try out glasses that are supposed to excite the imagination and provide unprecedented writing powers!” says Vasumas Steffen Sundelius. “The creativity in the shop will activate the imagination and encourage children to write before they go through the secret door of the writing workshop.” says the author Dilsa Demirbag-Sten who is in charge of Berättarministeriet. The alien glasses look crazy and cool, like a tiara but on your nose. It wouldn’t surprise me if they one day can be found any regular shop!